Here is a picture with a view: from the left, you can see the Sorrento Peninsula complete with Sorrento in the background, Massalubrense, and the tip Punta Campanella. Next to it are the islands of Li Galli. 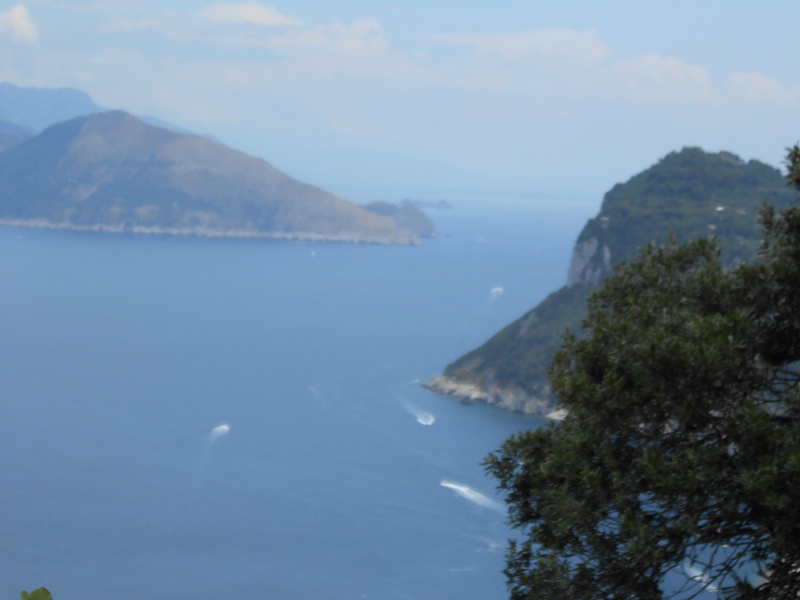 The picture is taken from Anacapri, on a panoramic path just below the gardens and the house of Axel Munthe. In the foreground you can look down towards Capri città and the island's green cover consisting of macchia, olives and citrus groves, and lush gardens. You can see the ships departing from the harbor, Marina Grande.